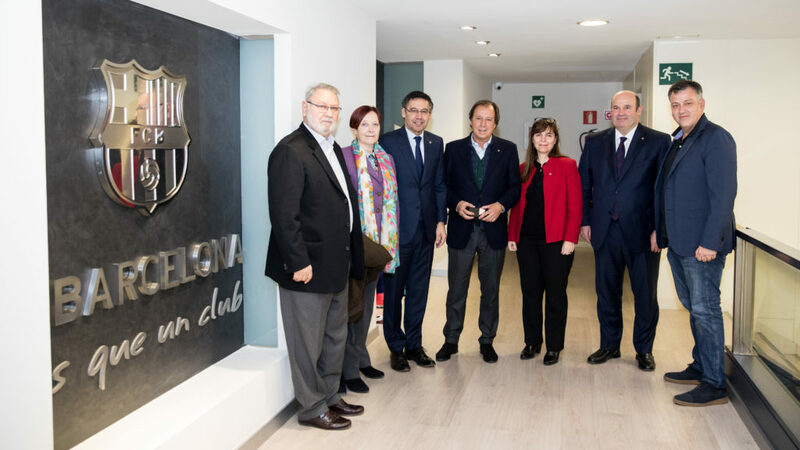 The FC Barcelona and the UAB has launched an alliance to create the Sport Communication Lab (LabComSport), a platform for research, training and dissemination on sports and communication. The first output of this agreement with FC Barcelona is the launch of the Master’s Degree in Communication and Sponsorship Management in Sports Organizations, which will start in October 2018 and will be taught initially in Spanish. The UAB Olympic and Sport Studies Centre (CEO-UAB) will manage both initiatives. FC Barcelona participates in this educational project through the Barça Innovation Hub, its research, development, training and innovation platform. According to the Director of the UAB Olympic and Sport Studies Centre, Emilio Fernandez Peña, “this alliance with FC Barcelona, ​​the most important club in the world, opens great opportunities to CEOE-UAB and diversifies its activities beyond the Olympic scope. At the same time, it will deepen our international projection in the hands of a highly prestigious partner, such as FC Barcelona, and introduces us to a privileged position in the field of communication research and postgraduate education in sports”. The Master is the first initiative of LabComSport. The main objective of the Master in Communication and Sponsorship Management in Sports Organizations is to train professionals who act strategically with respect to communication and can propose actions to obtain income for their organization and be able to manage them. The management of communication in sport is conceived as an integral process that includes not only relations with the media, but the construction of the sports brand, the management of social networks or relations with sponsors and partners. The program will be taught by executives and professionals of FC Barcelona, ​​as well as other global sports organizations and will create an environment conducive to learning and active exchange of the latest strategies and actions of organizational communication and sponsorship, together with the current protagonists of changes in communication field.